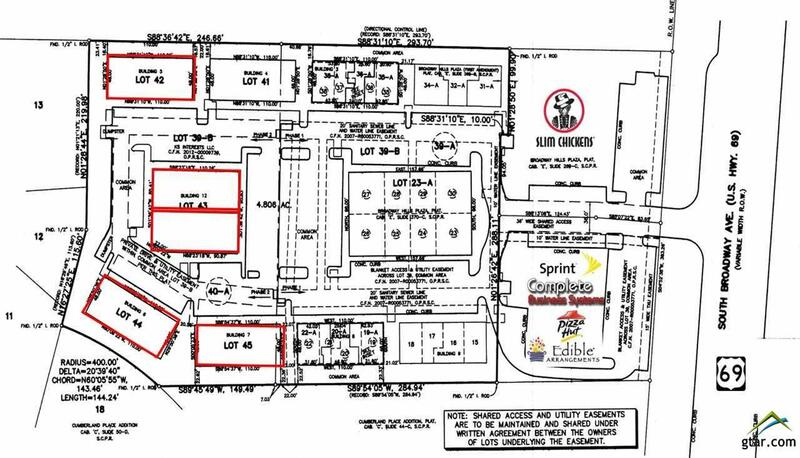 Phase II Office/Retail Sites in Broadway Hills Plaza Retail / Office complex. 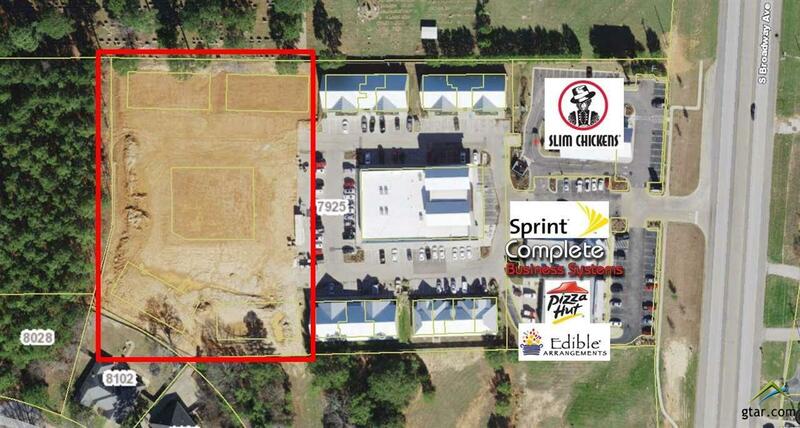 Six lots/pads for development available for Sale. Can be purchased together or individually. Lots 41, 42, 44, 45 available for $205,000/each. Lots 43 & 43B available for $165,000.each. Complete 6 lot package available for $995,000. 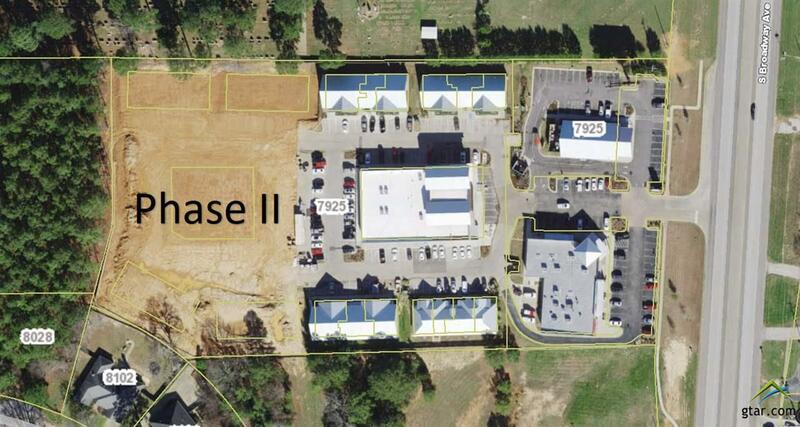 Sites are pad ready with utilities, parking and access. 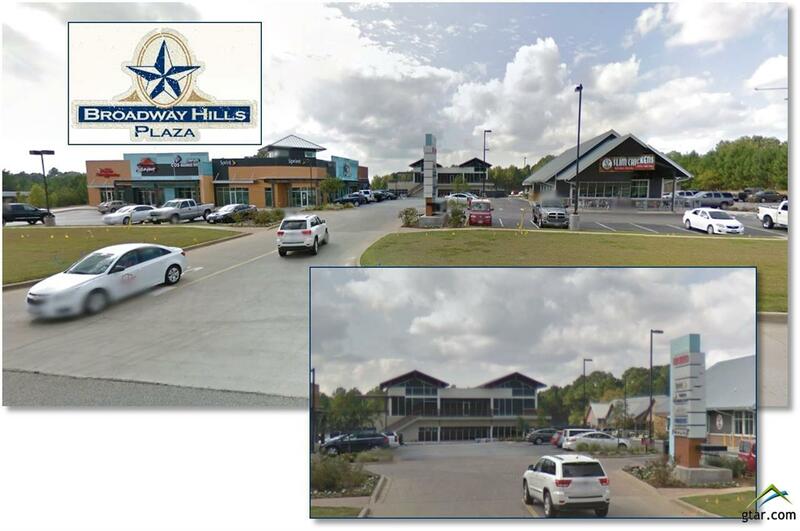 Located in Tylers most dynamic retail / restaurant development corridor, Broadway Hills Plaza Phase II is a new Upscale Mixed Use Center with Prime signage and dedicated turn lane. The center is situated on desirable S. Broadway Ave., with high visibility and traffic counts.